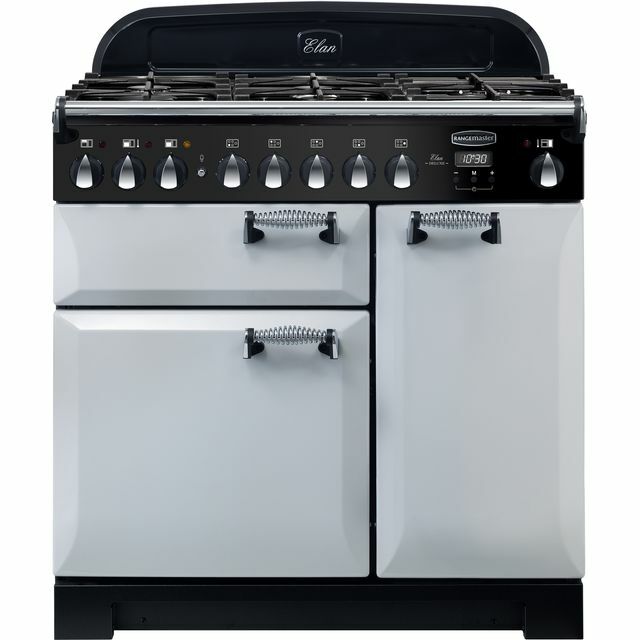 Combining classic design and fantastic features, this Rangemaster electric range cooker in royal pearl would be a superb choice, with 3 cavities including 2 ovens and a grill. 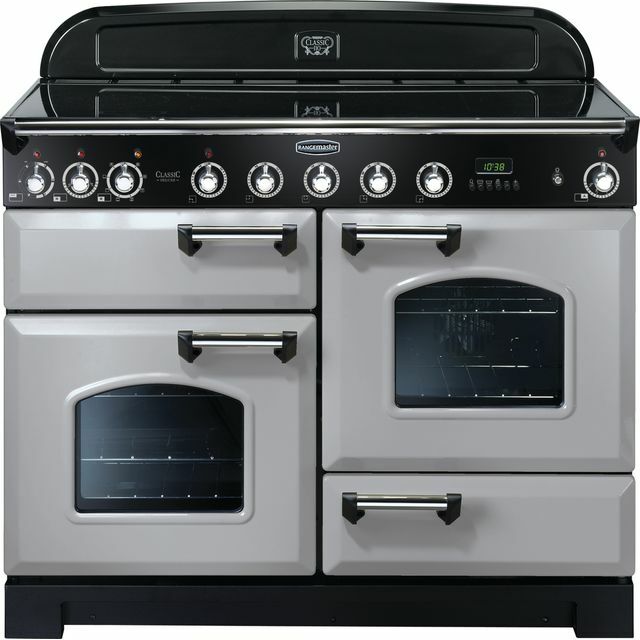 The main multifunctional oven offers lots of ways to cook, from a conventional setting which is great for traditional sponge cakes, to a useful defrost mode that’s perfect for preparing joints of meat. 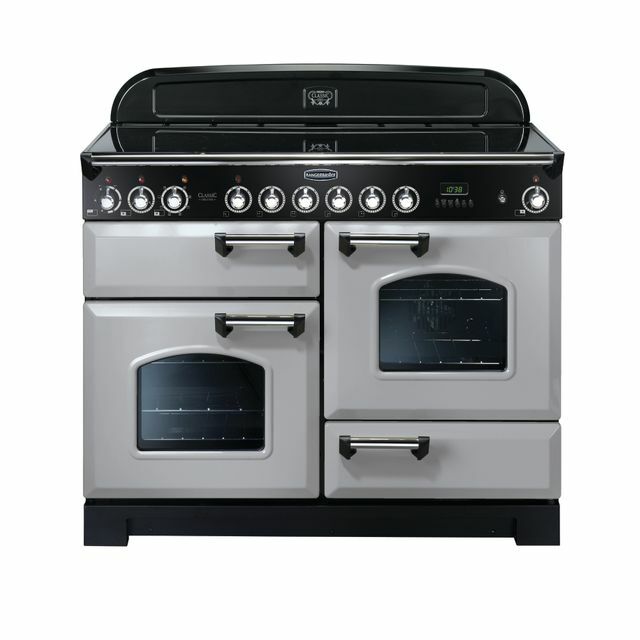 This model also has a separate fan oven which circulates heat, so food cooks evenly on every shelf – handy when you’re roasting Yorkshire puddings and potatoes at the same time. 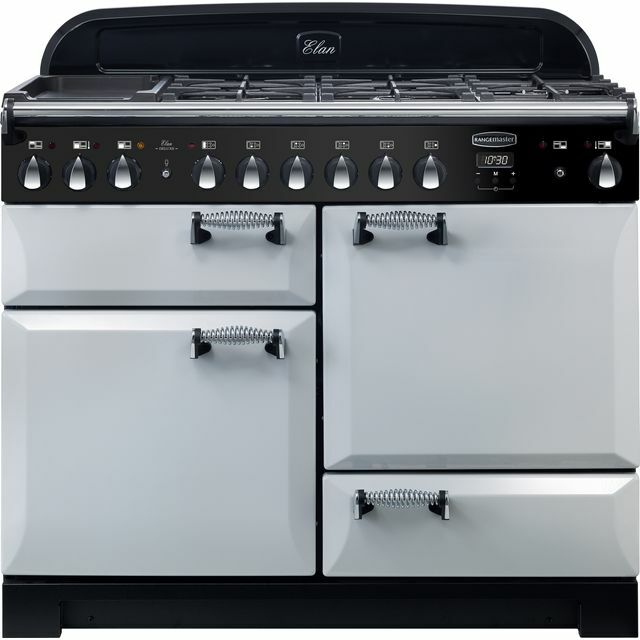 It has a 5 zone induction hob too, which uses electromagnets to directly heat the base of your pans, not the hob’s surface, for safe, efficient cooking. As expected, the product is high quality and pleasing to the eye. 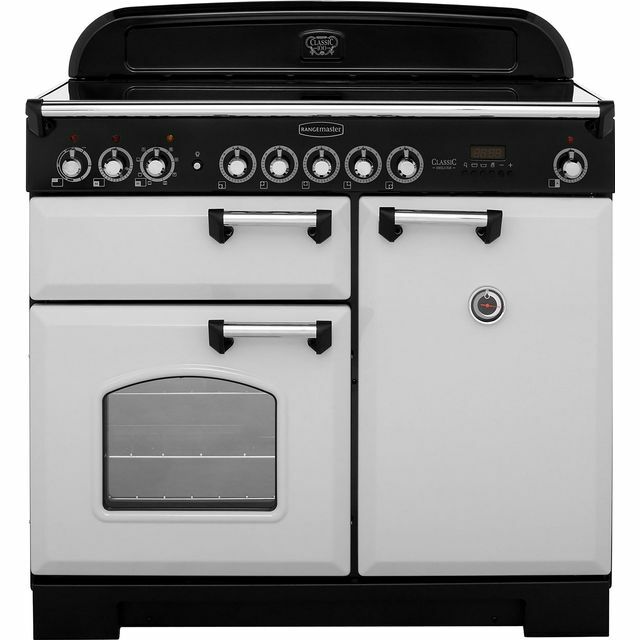 Nice to have a A rated product that looks appropriate in an old farmhouse.